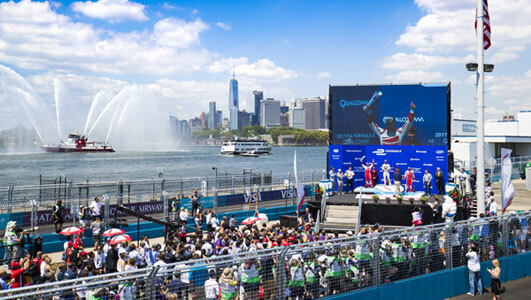 New York is rolling out the welcome mat for visitors this summer, offering an abundance of outdoor activities across all five boroughs. From scenic parks and beaches, to hotel rooftop bars and the arts, summer is one of the most ideal times of the year to discover New York City. This summer, visitors can check out Nordstrom Men’s Store – all 47,000 square feet of it; take in the outdoor exhibits in the Iris and B. Gerald Cantor Roof Garden atop the Metropolitan Museum of Art; The Public Art Fund is presenting multiple free exhibits throughout the city this summer; stay overnight on NYC’s historic Governors Island with Collective Retreats when it opens June 1; the New York Chinese Scholar’s Garden in Staten Island is celebrating the 20th anniversary of its groundbreaking; on June 30, the Wildlife Conservation Society’s New York Aquarium in Coney Island will open its newest exhibition titled Ocean Wonders: Sharks! ; the 12th annual Make Music New York festival will feature more than 1,000 free public concerts across all five boroughs on June 21; plus there’s lots, lots more. So check it out at nycgo.com/summer.